Drinking beer is very enjoyable to a lot of people, but what do you think about the experience of making your own beer? Some may think it’s a very complicated process, but imagine serving friends beer you made at home. Gallon Brew Kit is there to help you learn all the basics and includes everything you may need for the process. 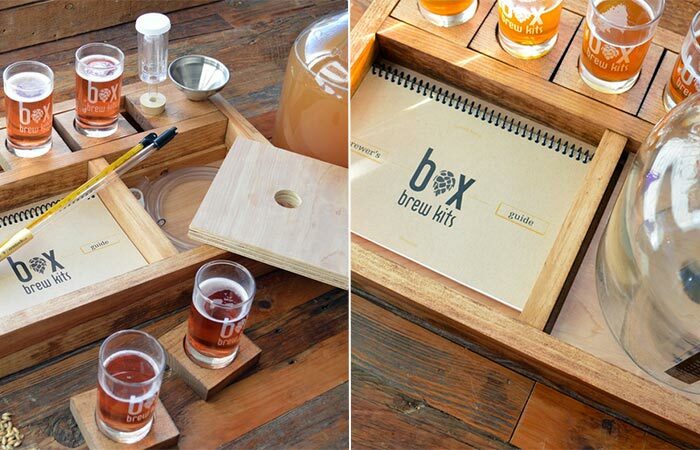 Gallon Brew Kit comes in a handcrafted wooden base made from Rustic Pine. This is where all the ingredients and equipment can be easily packed. You can choose one of the five different recipe options and get ingredients for that recipe. Also, besides the ingredients, you’ll get tasting glasses and coasters, as well as a nice brewer’s log where you can write down your favourite recipes. All the equipment in Gallon Brew Kit is reusable and with it, you can make a gallon of beer. Just choose one of five recipes, and you’ll get ingredients for that one. As for the equipment in the box, everything is reusable. With Gallon Brew Kit, you can brew one gallon of beer. Inside, you’ll find 1-gallon glass fermenter with crystal thermometer, plastic racking cane, a stainless steel funnel, 3-piece plastic airlock, drilled rubber stopper, a laboratory thermometer and a tubing clamp. 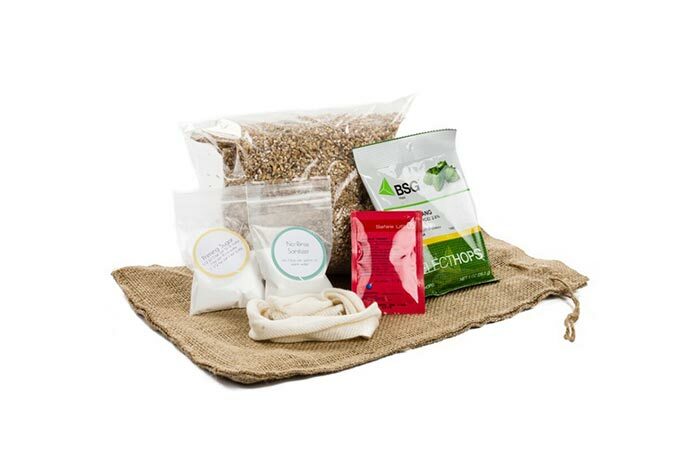 As for the ingredients, you get grains, hops, yeast, muslin straining bag for grains, priming sugar and no-rinse sanitizer. We should mention you need just two things from your kitchen that don’t come in the box- a large stock pot with 10-quart capacity and bottles to store beer once you make it. There are instructions you get in the box that will lead you step by step through the entire process. There’s also an option of getting a Gallon Brew Kit that includes six bottles.